Grow beyond the limits of your basic accounting software. 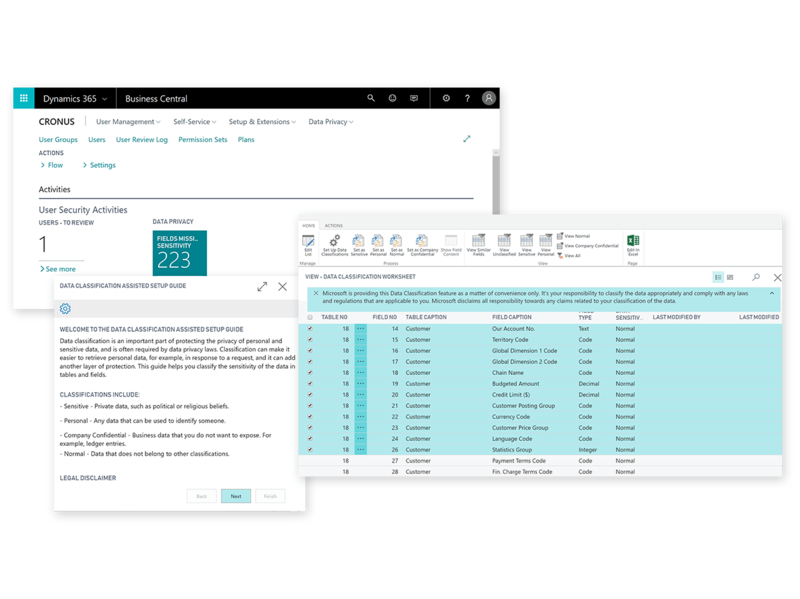 Microsoft Dynamics 365 Business Central is a business management solution that is easy to use, helping to connect your business and make smarter decisions. Connect your finances, sales, service, and operations to streamline business processes, improve customer experiences, and enable business growth. Accelerate financial close and report with accuracy while being compliant. Increase visibility across your supply chain and get greater control over your purchasing processes. Maximise opportunities and better serve customers with built in relationships. Manage budgets and monitor project progress with real time data on resources available. Connect data across accounting, sales, purchasing stock, and customer interactions to get an end-to-end view of your business. 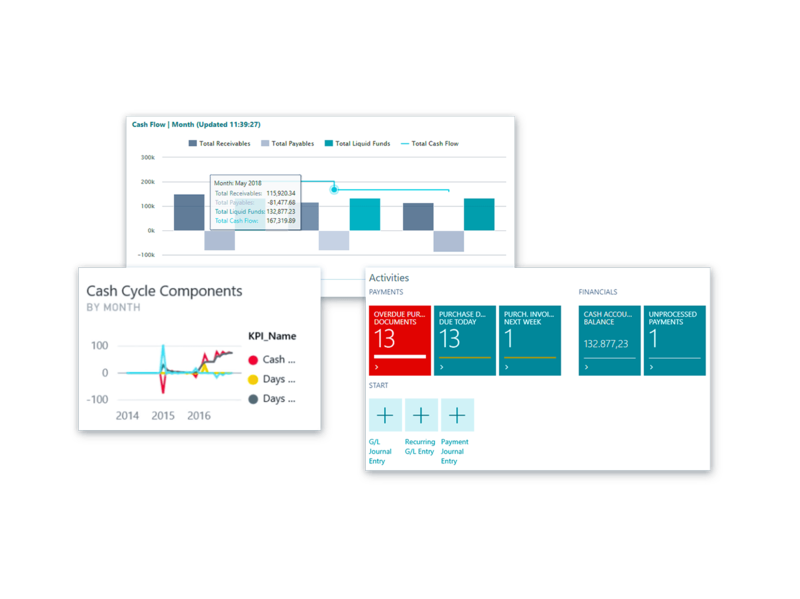 Chart financial performance with Power BI dashboards in real-time. Streamline accounts receivables and payables. Automatically reconcile accounts to quickly close and report on financials, whilst being compliant. Refine financial forecasts by modelling and analysing data across the multiple dimensions. Use the seamless Microsoft Excel integration to customise reports. 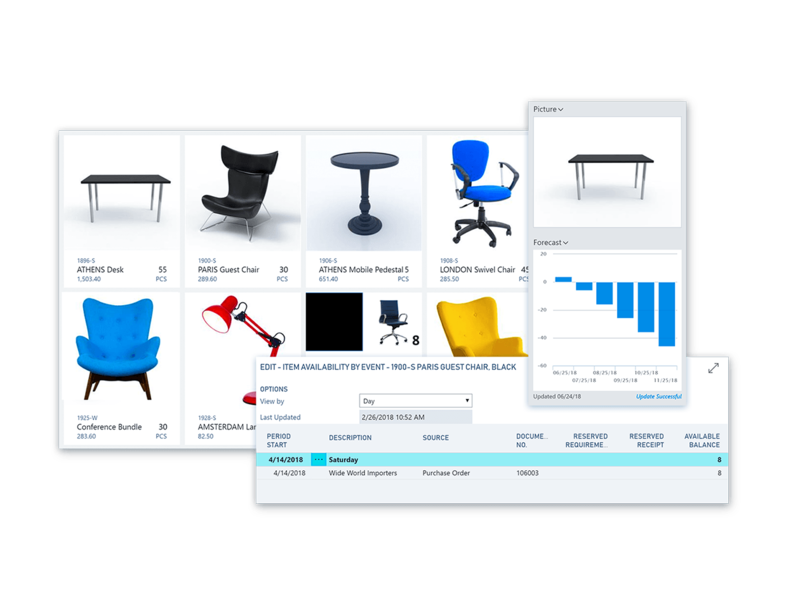 Use built-in intelligence to predict when and what stock items to replenish. Only purchase what you need with stock levels updated dynamically. Maintain the correct amount of stock by automatically calculating stock levels, lead times, and reorder points. Receive substitute suggestions when requested items are out of stock. Get recommendations on when to pay suppliers, when to use discounts or avoid overdue penalties. Prevent unnecessary or fraudulent purchases with approval workflows. Prioritise sales leads based on potential revenue. Track all customer interactions and get guidance on the best up-sell, cross sell, and renewal opportunities through the sales cycle. 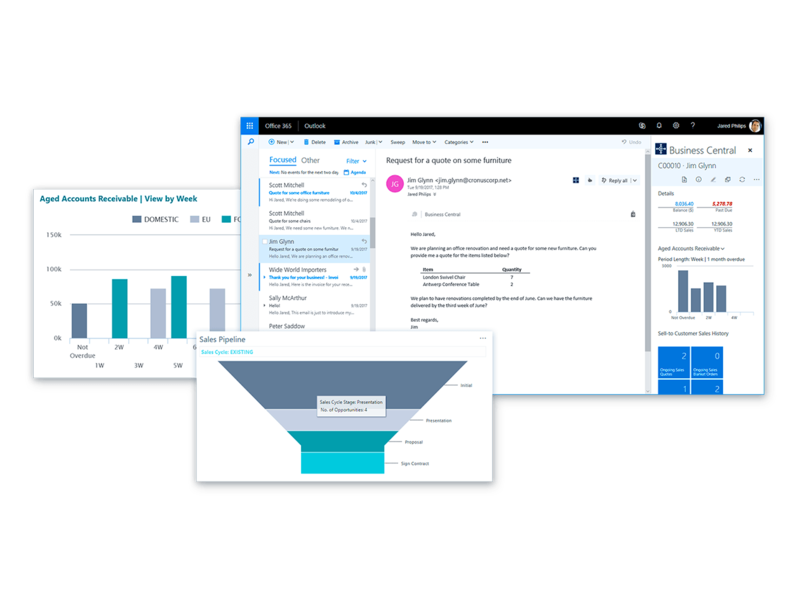 Act quickly on sales related enquiries, manage service requests, and process payments - all from Outlook. Gain a comprehensive overview of the service tasks, workloads, and staff skills to effectively assign resources and accelerate case resolution. 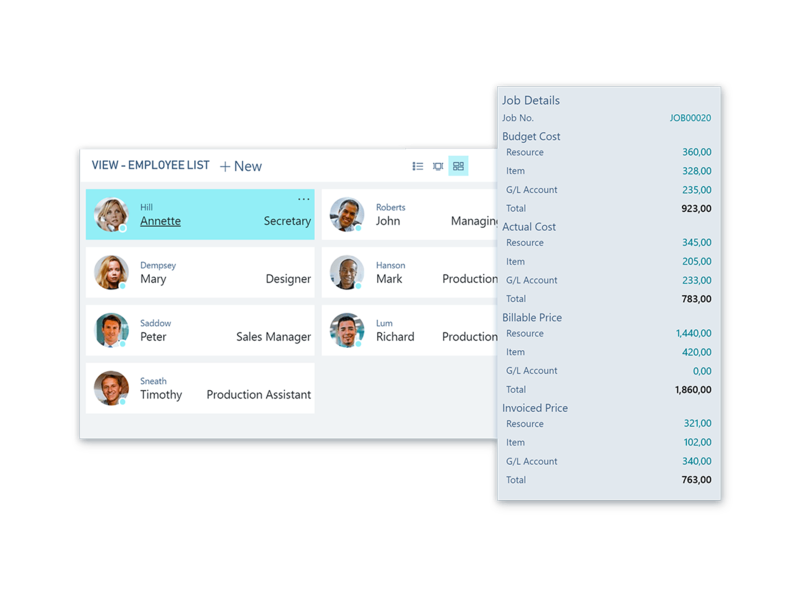 Create, manage, and track customer projects using time sheets with advanced job costing and reporting capabilities. Develop, modify, and control budgets to ensure profitable projects. Manage resource levels by planning capacity and sales. Track customer invoicing against planned costs on quotes and orders. Make effective decisions with insights on project status, profitability, and resource used metrics. 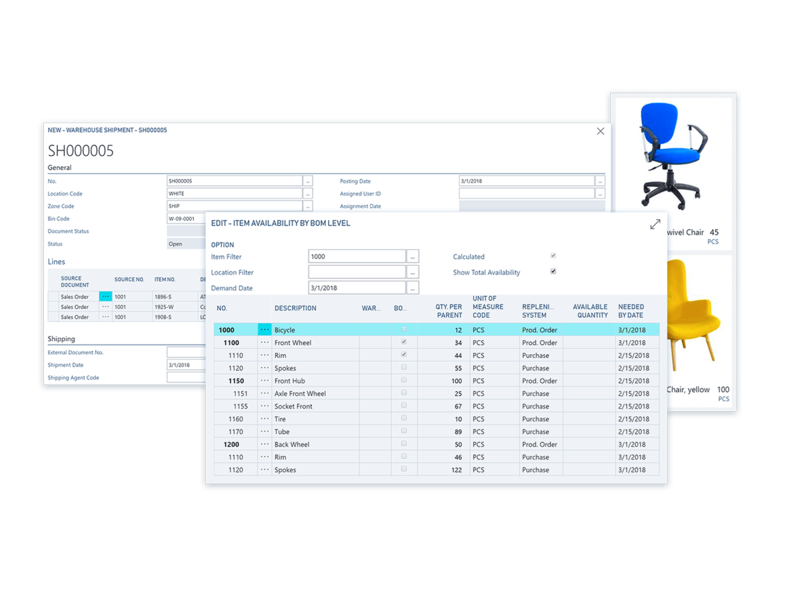 Use sales forecasts and expected out of stock to automatically generate production plans and create purchase orders. Have a holistic view of stock for effective order fulfilment. Track every item transaction and movement by creating bins based on warehouse layout and storage capacity. Calculate and optimise manufacturing capacity and resources to improve production and meet customer demands. Use the built-in privacy by design and by default methodologies to help your business comply with GDPR. Grant and restrict personal data access on many levels and enable audit trails for security and accountability. Move and store personal data freely and securely across your systems while protecting it from unauthorised access. Contact us to discuss your Dynamics 365 Business Cental requirements or for further information.